that are responsive, creative, and modern. 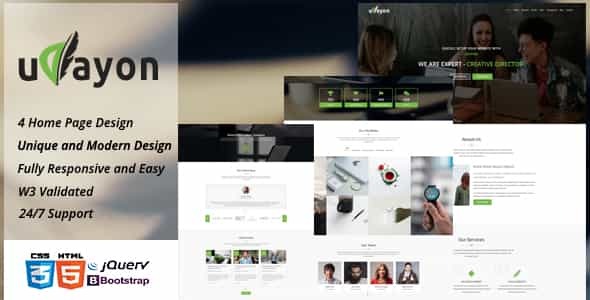 Udayon – one-pager multipurpose parallax template for corporate, business, personal and other agency. Udayon one-pager template suitable for creative companies, agencies, personal blog, personal portfolio and freelancers team. 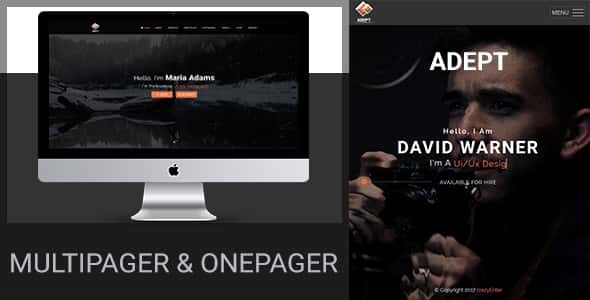 Adept – Creative Personal Portfolio / Resume And Blog Template. If you are wondering to build your portfolio/resume or blog website this is the perfect template. This template suitable to showcase your works, write the blog post and keep information. 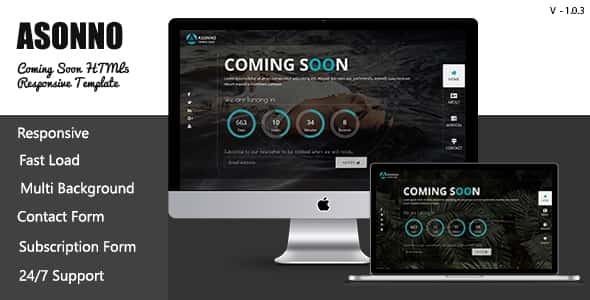 Asonno Coming Soon – template suitable for that person who wants to add coming soon page and for that person who wants to display company, business, agency, and personal information until their website is complete to publish on the internet. 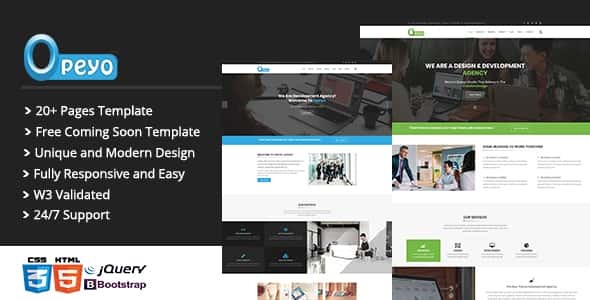 Opeyo – Multipurpose Business Responsive HTML Template Suitable for creative companies and agencies Fully responsive and user-friendly Showcase services and projects.